kc bob: What doesn't kill you can make you stronger! Saw this on Facebook and thought that I'd share here. 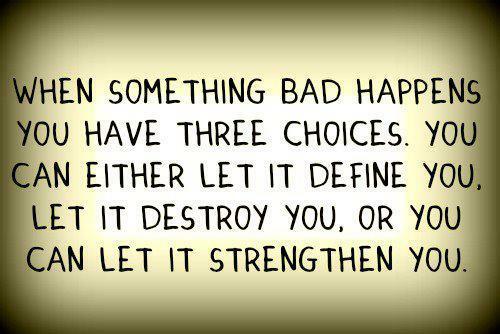 I have experienced these three choices. I have gotten bitter over tragedy. I have let bad things define me. And thankfully these days (most of the time) those things are helping strengthen me and make me a better man. Can you relate?